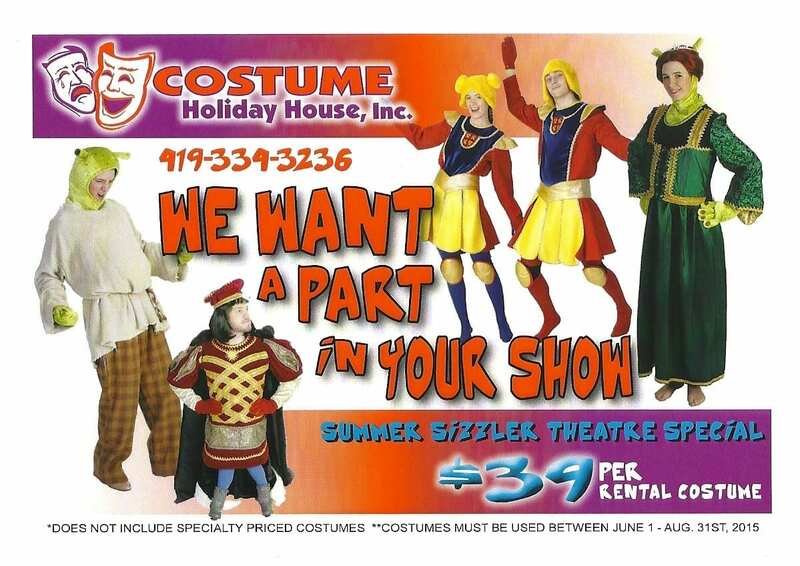 Need costumes for an upcoming show? Take advantage of our Summer Sizzler Theatre Special! If your show dates are prior to August 31st, 2015 you qualify for our $39 per costume deal! Also, don’t forget to come in for our Customer Appreciation Sale, July 16th-18th & August 13-15. We are selling old rental costumes and discounting all of our purchase costumes!